The Marine Mammal Center in Sausalito is calling 2015 "a year like no other," and not in a good way. The center says the 1,747 seals and sea lions it has rescued this year is an all-time high, "breaking nearly every record" in its 40 years of existence. 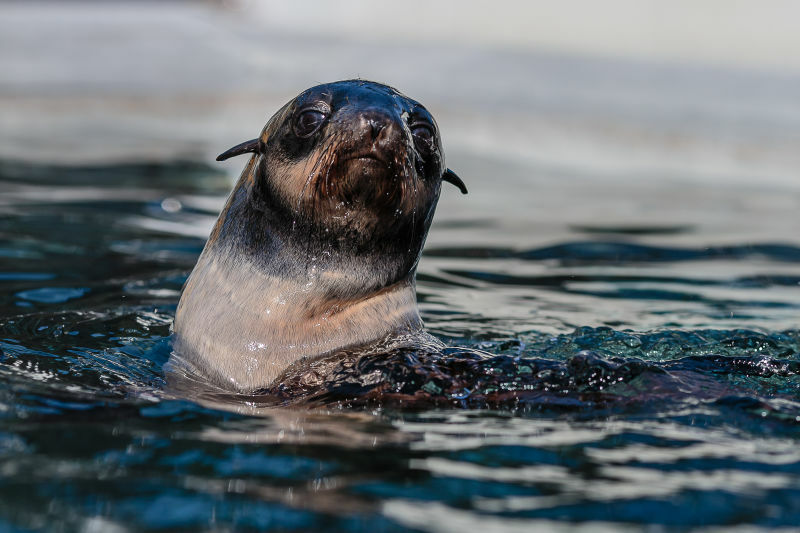 Earlier this year, the center had rescued record numbers of California sea lion pups and Guadalupe fur seals, which have struggled to find food. The latest imperiled animals are northern fur seals; the center has so far this year taken in 85, more than twice its previous record in 2003. Pups have been turning up stranded on beaches up and down the center's rescue range, from Mendocino County down to San Luis Obispo County, Jeff Boehm, the center’s executive director, told KQED's Lauren Sommer on Friday. The root cause, Boehm said, is what climate scientists call "The Blob." What's "The Blob"? Well, it has nothing to do with Steve McQueen. KQED's Craig Miller has described it as "freakishly warm water spread far and wide, up the California coast" and beyond. Boehm said this warming has prevented an "upwelling of cool, nutrient-rich waters" in the habitats of the fur seals. Those waters usually attract forage fish that the marine mammals eat. But the fish have abandoned those areas, and the seals have followed, causing nursing mothers to travel farther to find food. "[The mother's] probably not coming back and nursing [her] pup adequately, certainly not as frequently as she should, and certainly not with the nutrition that she should be providing," said Boehm. "So the pups, far before weaning, are virtually abandoned," and leaving the area for California shores, where they wind up on beaches vastly underweight and in need of rescue. This cycle will probably not stop anytime soon, said Boehm, as the El Nino being forecast will continue bringing warm water to the coast.